The levels of pollution in Southwest Detroit are so high that you can often see, touch and smell it. Recently residents have been very concerned about a metallic dust that rains down upon their neighborhoods nightly. They wake up in the mornings and the grass, their cars, their house — everything — is covered in a thin layer of whitish, metallic powder. “Some of the particles are so fine, they’re like powdered sugar. And you breathe them,” reports Roland Wahl, a resident of the area who experiences this alarming dust every morning. 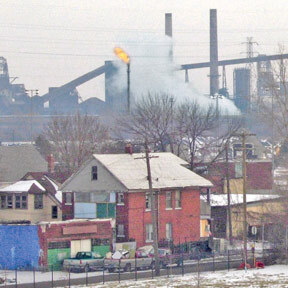 It is no wonder that the area of Southwest Detroit has some of the highest asthma rates in the region. Sandra Svoboda of the Detroit Metro Times desribes the raspy voice of Linda Chernowas, another resident of Southwest Detroit, as she tells about a black, oily film that she often finds on the pool in her yard. Chernowas has been diagnosed with reflux laryngitis, and her doctor told her to move out of the neighborhood, under the belief that the pollution is what was making her illness worse. 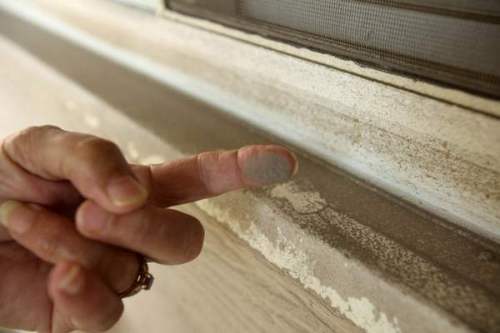 This oily substance and the metallic dust mentioned above are two visible elements of pollution out of many invisible toxins that fill the environment in this area. It is real stories and experiences like these that raise questions that absolutely must be addressed. Questions such as: How can an area nicknamed “Michigan’s most polluted ZIP code” continue to have people living in it without the State, or any other governmental entity, doing anything about it? Why is this entire community of Southwest Detroit continually subjected to these high levels of pollution? Why are none of the industries surrounding these fence-line communities taking responsibility for the pollutants they release? Why does it seem as though the health and well-being of the people living in these areas mean nothing to the industries around them? There are no simple answers to these questions, but almost every one of these questions seems to be rooted in issues of environmental injustice. Even though there seem to be an overwhelming number of environmental justice problems in this area of Southwest Detroit, there are many resources and community activists that are working toward achieving justice by petitioning for: health studies, compensations for health costs, requirements for industries to take responsibility for their pollution, and other such measures geared toward ultimately bringing back a healthy place for people to live. 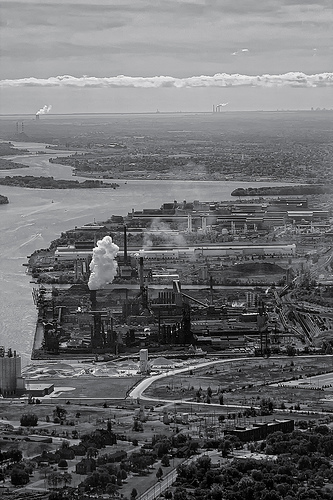 The goal of this website is to illuminate the environmental injustices occurring in Southwest Detroit, and to provide resources for community members and information for people who are unfamiliar with the area.